The game will see players collecting their favorite heroes and villains before taking them into competitive or cooperative multiplayer battles. Today, DeNA and Marvel Entertainment have announced the development of Marvel Mighty Heroes for iOS and Android devices. The game will feature real-time competitive and cooperative multiplayer game modes, as players recruit a group of their favorite Marvel superheroes and villains. As players build their team of heroes and villains, they’ll encounter characters including Iron Man, Groot, Captain America, Star-Lord, Hulk, Thor, Black Widow, Spider-Man and dozens more. Building off of the success of Marvel War of Heroes, our first Marvel-licensed title, Marvel Mighty Heroes is a fast and tactical battle game that will combine evolving Marvel stories with enthralling co-op and competitive multiplayer gameplay. Marvel fans and gamers alike will have the chance to create the ultimate team of superheroes and super villains to take on waves of enemies from the Marvel Universe. 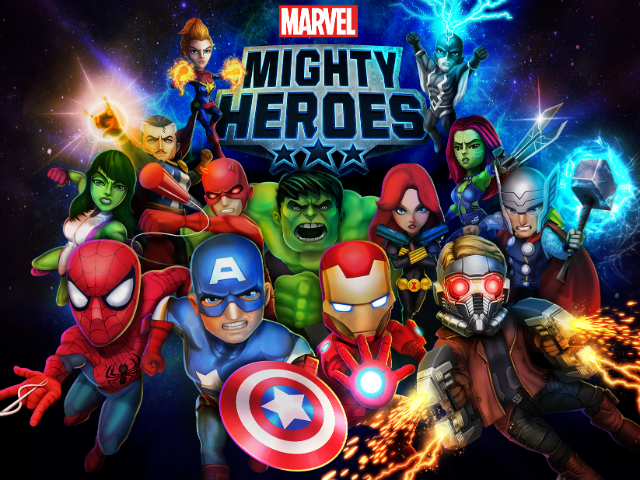 Marvel Mighty Heroes will launch on iOS and Android devices later this year. Gamers can pre-register to receive updates about the game on its official website. There, players will be able to vote for Hulk or Rocket Raccoon as a special free launch hero for a limited time.